From engagement to affinity - do we need to stop worrying about views and likes? What if that briefest moment of their day is precisely how long that potential customer has spent thinking about, or engaging with, you? We all want to be liked, right? Nowhere is this more true than on social media. The rules of marketing have been almost entirely re-written in the past decade, and social or content is a massive focus of budget, time and energy for brands wanting to engage key audiences around sport and entertainment properties. Not long ago a few hundred, thousand or better still tens of thousands of, ‘likes’ of a Facebook post, Instagram image or Tweet had everyone in a marketing team congratulating themselves for a job well done. Not only had all of these people seen the hilarious/incredible/groundbreaking 140 characters, story, video or picture, but they had taken the time and liked it too! These are still positive barometers for how consumers feel about what brands create, but should we stop there or use this engagement to go further? We believe that the world has moved on and what we can now do with this attention has evolved dramatically.. Reality has hit; all this effort and expense channeled into creating fabulous online content, but for what? Other than the rare (and probably unplanned) gem that goes truly viral – where is the value in a ‘view’ or a ‘like’ to a brand? What if that briefest moment of their day is precisely how long that potential customer has spent thinking about, or engaging with, you? And that’s what smart brands are looking for now – engagement and interaction. A meaningful relationship or affinity with their audience that adds genuine value and provides a measurable return on investment. While the definition of ‘fan engagement’ may be unclear, ‘fan interaction’ is clear, definitive and measurably valuable. It’s what we do at Monterosa every day. The best digital fan interaction products provide experiences where repeated interactions can be created, linking a fan with his or her passion point and a brand. They look to create a valuable exchange, where a fan is able to benefit from digital interaction, putting them into a state of mind to greater appreciate a brand and its products. Be it giving fans a voice by voting on big moments or in key sporting tournaments, or playing an addictive game - competing alongside millions of other fans. 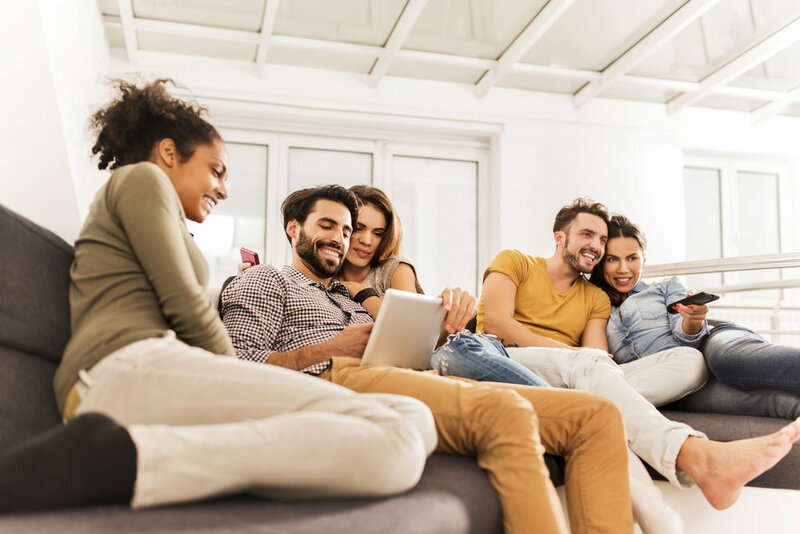 Fan interaction and ultimately getting into the palms of new audiences is vitally important for sports rightsholders, brands and entertainment organisations. Once we capture their attention, we take them on a journey leading to greater affinity, loyalty and conversion to sign-up or buy. Whether educating fans about a new sport, re-engaging a lapsed fan, or turning an event follower into a fanatic, it’s all about focussing on the interactions that deliver the best, most valuable experiences. You see I don’t just want you to like me. I want us to be friends.